Last year’s Sonic Mania proved that the blue hedgehog we all know and love still had more than enough life left in him, gifting us one of the best games in the franchise’s storied history. 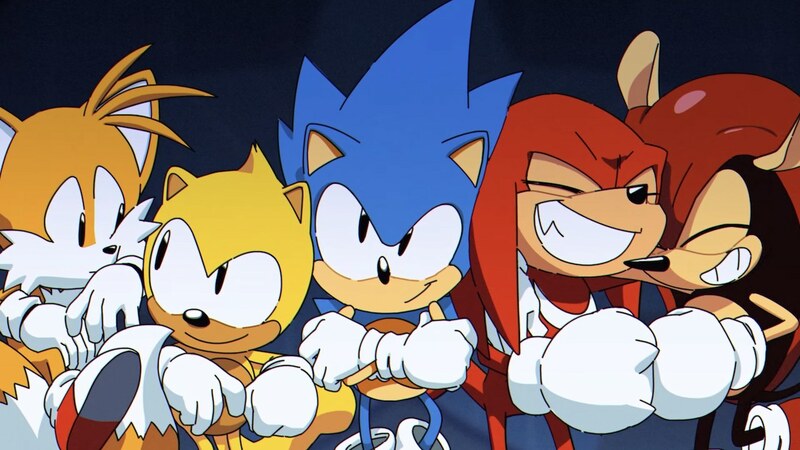 Now, Christian Whitehead and co. have returned to expand upon what was already arguably the best game the blue blur has received in decades, with Sonic Mania Plus. Sonic Mania Plus comes as both a separate physical release or an add-on digital download for the original Sonic Mania, and adds in a significant amount of content and changes compared to the base game. Mighty the Armadillo and Ray the Flying Squirrel have both been added as new playable characters, complete with their own unique abilities – Ray can fly, much like the cape powerup from Super Mario World, and Mighty can slam into the ground after jumping, and is resistant to spikes when curled up in a ball. Both Mighty and Ray are available in Sonic Mania’s campaign, and competitive multiplayer modes, but alongside their addition to the game it’s fair to say that Sonic Mania Plus’ new “Encore Mode” is the star of the show. There’s not really any new levels – there is a short introduction that takes place in a new area, though it’s very brief – but levels are changed up just enough so that players will recognize their layouts from the base game, while still being surprised now and then when something stands out to them as being new to the stage’s Encore Mode variant. Besides stage layouts getting remixed, another big change players will find in Encore Mode is the way that lives work. Instead of it being the traditional system where upon gathering 100 rings you gain an extra life, lives are instead tied to a new mechanic that allows you to swap who you’re playing as on the fly. Upon starting Encore Mode players will have access to Sonic, as well as either Mighty or Ray. Players can find additional characters by either smashing powerup boxes with said character’s face on it, or gathering enough rings to unlock a new minigame at one of the mode’s checkpoints. Unlike Blue Spheres, the new pinball minigame that can be found in Sonic Mania Plus’ Encore Mode has only one purpose; to gather other characters for your party, and, perhaps, to grab an Elemental Shield or two. The special stages where players hunt for the Chaos Emeralds are the same in Encore Mode, but both where you find the giant rings to enter them as well as the special stages themselves are entirely different. Notably, they’re a lot harder from the get-go. The only other things new to Sonic Mania Plus would be the addition of some additional stage transitions, and the goodies that can be found in the physical edition. The stage transitions flesh out and fill in the gaps that many players noticed in the game’s presentation last year – the inclusion of an art book with the title’s physical release is a nice way to make the release feel premium, alongside the adorable Sega Genesis reverse cover art. At $4.99, even if you’ve already had your fill of the blue blur on your Switch, it seems like a no-brainer to pick this DLC up. And, if you’ve yet to play Sonic Mania; Sonic Mania Plus offers yet another essential addition to your physical game collection. It might not be an entirely new game, but Sonic Mania Plus manages to feel just as fresh as the original Sonic Mania did a little over a year ago.